And better than ever, dare I say. 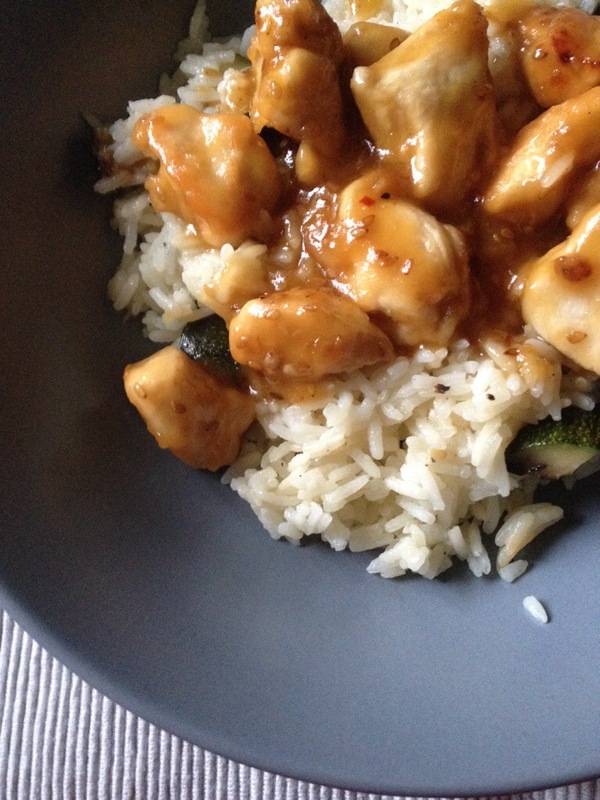 Whereas back in the day I was cautious, sticking to every last detail of the recipe, today I am a true home cook and I kind just made things up as I went along, adding a step where I quick-fry the chicken coated in flour and adding a bit more spice and a lot more fresh, grated ginger. This chicken was awesome. Better than I remembered and way healthier and more satisfying than anything you’ll get at your local Asian place (aside from crab meat Rangoon or wantons, obviously). Preheat your oven to about 400°. 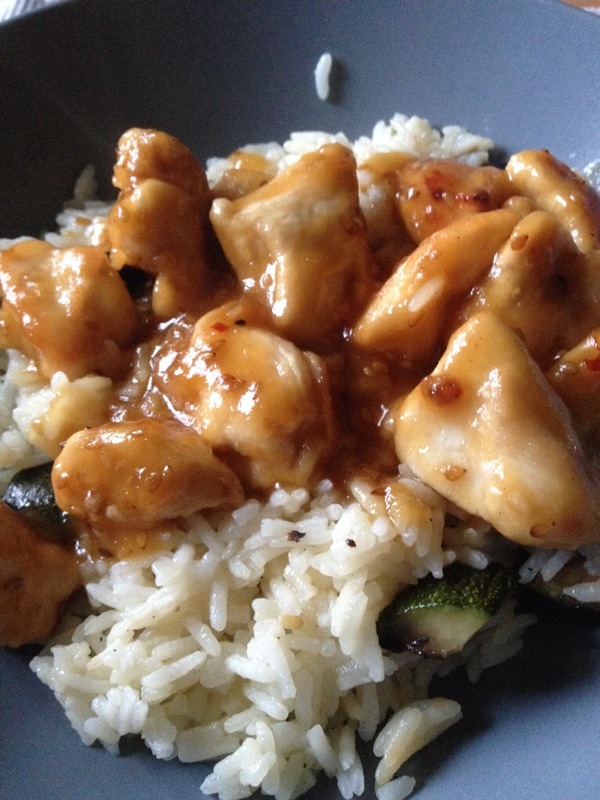 In a shallow baking dish (about 9×9), mix the honey, soy sauce, water, grated ginger and toasted sesame seeds. Set aside. Heat 2 tablespoons of neutral oil in a large skillet over medium-high heat. Mix the flour and spices in a large, shallow baking dish. Lightly coat the pièces of chicken in the flour mixture and place them in the hot skillet, working in batches if necessary (and adding more oil between batches. Make sure you let it heat up before adding the next batch of chicken!). Cook for 1-2 minutes per side, until nice and golden (no need to cook the chicken through, you’ll finish it off in the oven). Once it’s browned, slide it into your baking dish full of honeyed goodness. Place in the oven for 15-20 minutes, until the sauce has reduced by about half (it should be thick and sticky). Serve with rice, steamed brocoli, whatever! 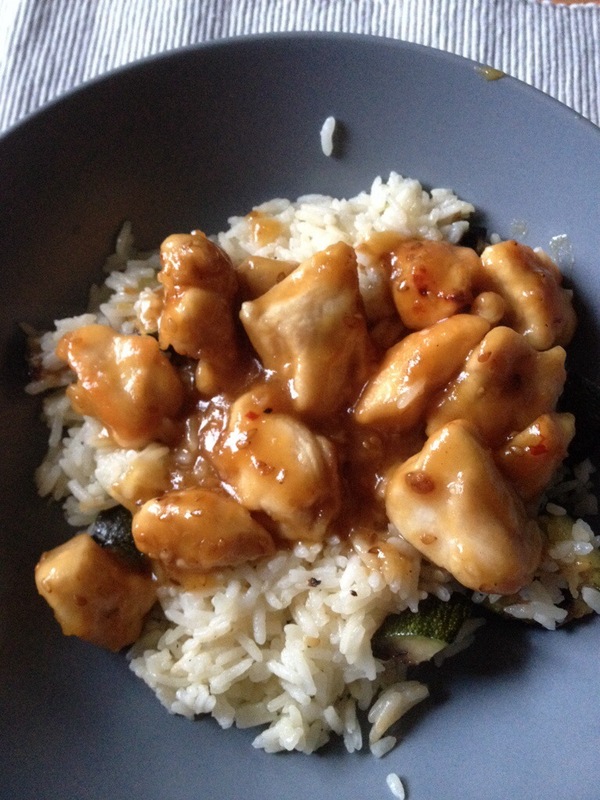 This entry was posted in General, Recipes and tagged Asian-style chicken, Ginger, Gooey, Honey, sesame seeds, Spicy, sticky, sweet, take-out by alamericaine. Bookmark the permalink.